Below you can view all the homes for sale in the Meikle Manor subdivision located in Las Vegas Nevada. Listings in Meikle Manor are updated daily from data we receive from the Las Vegas multiple listing service. To learn more about any of these homes or to receive custom notifications when a new property is listed for sale in Meikle Manor, give us a call at 702-323-5951. This Home sits on a LARGE Lot, has been well cared for, and ready for new owners to move in! MLS#2089897. Love Local Real Estate. More To Come Still Working On Remodel! MLS#2087410. Flat Fee Pros. 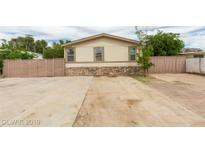 Close to schools, shopping centers, grocery stores as well! ! MLS#2086892. Century 21 Americana. Buy AS IS or a complete rehab can be done by May 10 including new kitchen w granite counters, stove, microwave, new tub, vanity, light, faucets, windows, doors, total drywall-texture will also be done. MLS#2084684. Win Win Real Estate. Easy to show, a must see! MLS#2083483. RX Realty. 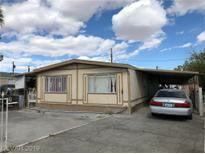 This home needs some light TLC and will make a great opportunity for the lucky buyer. MLS#2065451. Platinum R.E. Professionals. 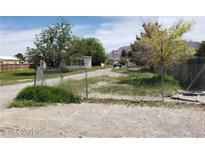 Great Property On A Large Lot With It's Own Well, Zoned For Horses, Plenty Of Rv Parking, Large Pine Trees, Lots Of Potential, Near Shopping And Schools. House Needs Some Tlc. MLS#2043061. Realty ONE Group, Inc.
4 generously sized bedrooms, upgraded custom walk-in closets, stainless steel appliances, oversized master bedroom separate from the others with attached loft, covered patios, workshops, storage and RV parking. MLS#2023784. Realty ONE Group, Inc.